Mix spicy brown mustard and milk. Season the chicken with salt, pepper, garlic and onion powder and put it inside a ziptop bag. Added the mustard and milk mixture into the bag and seal it. Shake the bag until well coated. Refrigerated it for at least an hour. Remove from fridge. Placed the chicken in oven-safe dish. Bake at 350 degrees, covered for about 20 mins. Remove from over. Uncovered, and back for another 10 mins. Steam baby spinach over medium heat. Seasoned spinach with salt and garlic powder. 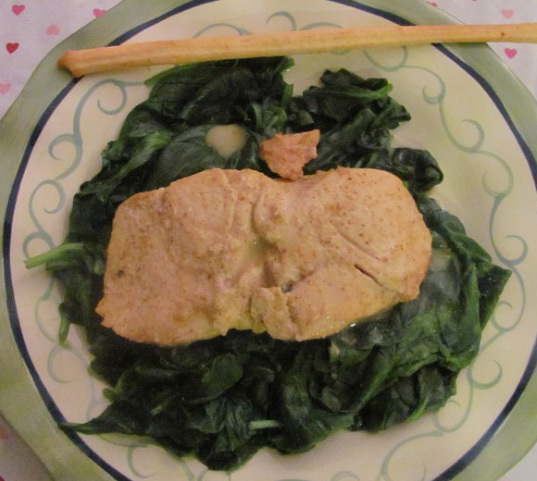 Place the chicken on top of the spinach, serve with a Grissini breadstick on the side. Cook the chicken first. 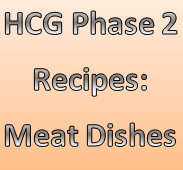 Pour the HCG Diet-safe homemade chicken broth into a saucepan and add the spices. When the water is boiling add the cabbage and precooked chicken. Let simmer for about 10 minutes. Enjoy.